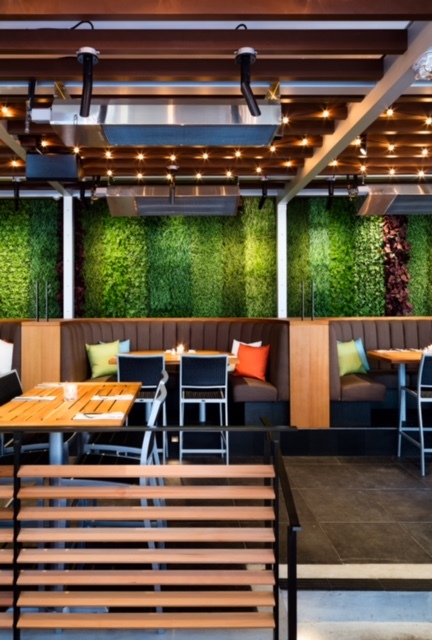 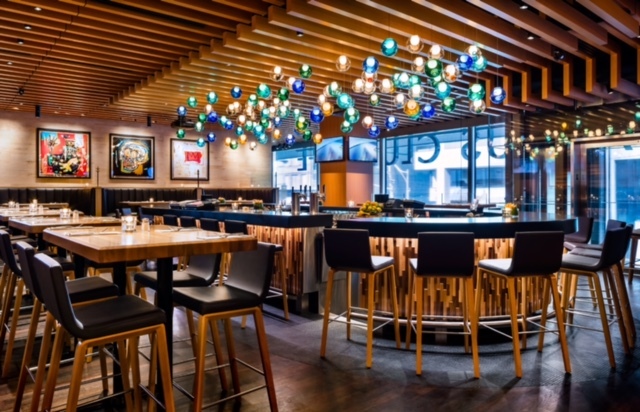 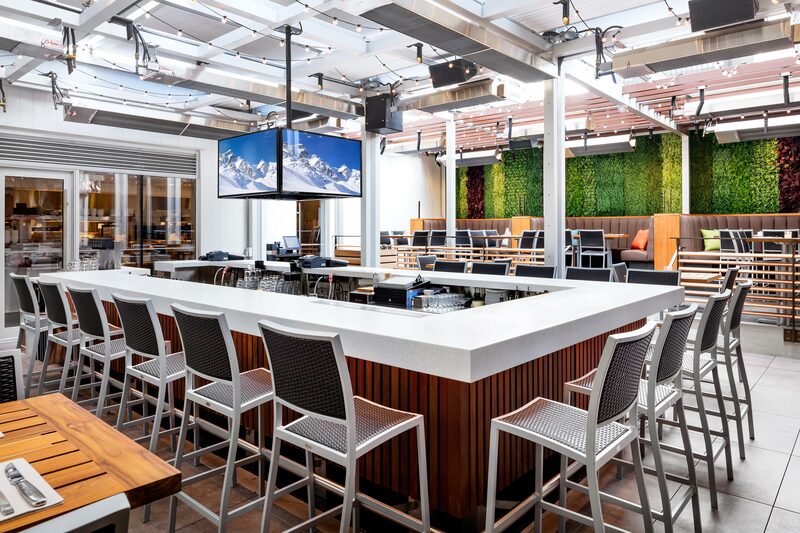 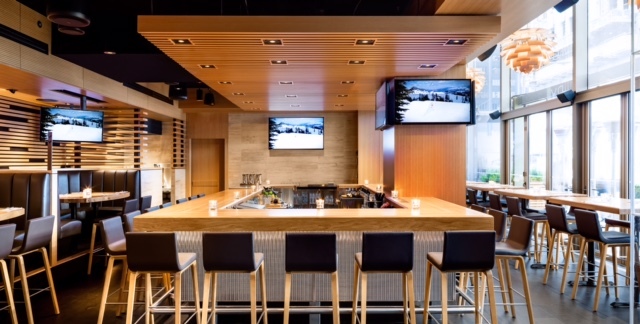 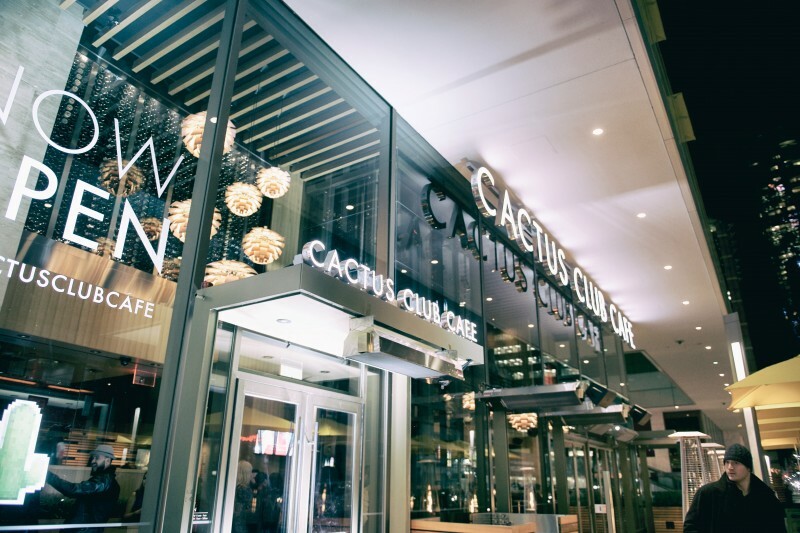 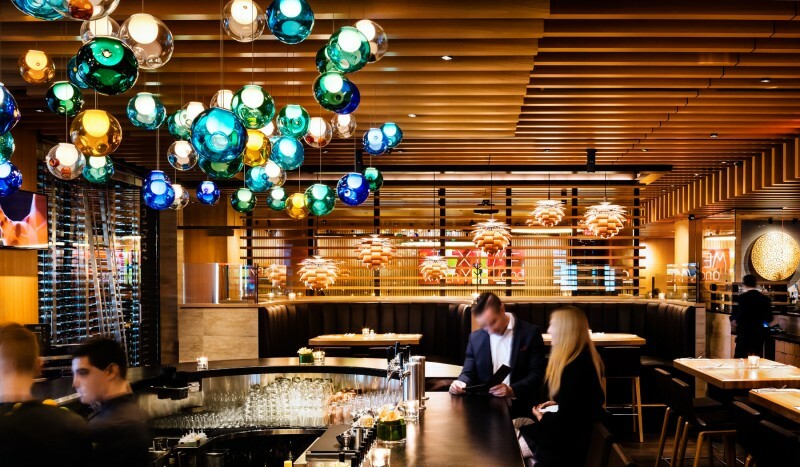 Completed in October 2015, Cactus Club’s eastern flagship restaurant is located In the heart of downtown Toronto at the base of the city’s tallest tower—the iconic First Canadian Place. 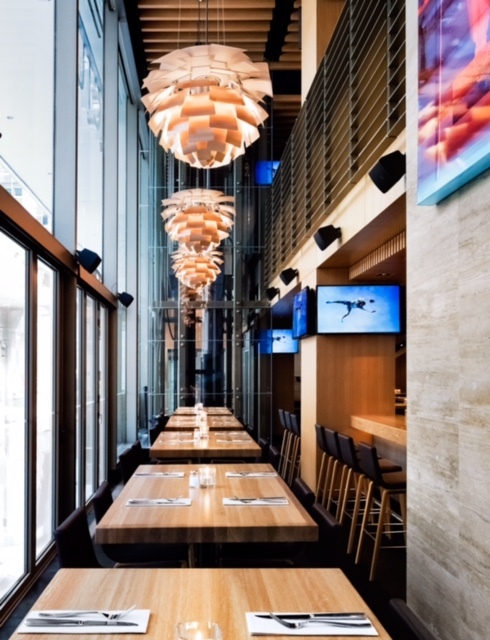 The 1,400 square meter, 500 seat, three level restaurant brings vitality and transparency to the Adelaide streetfront. 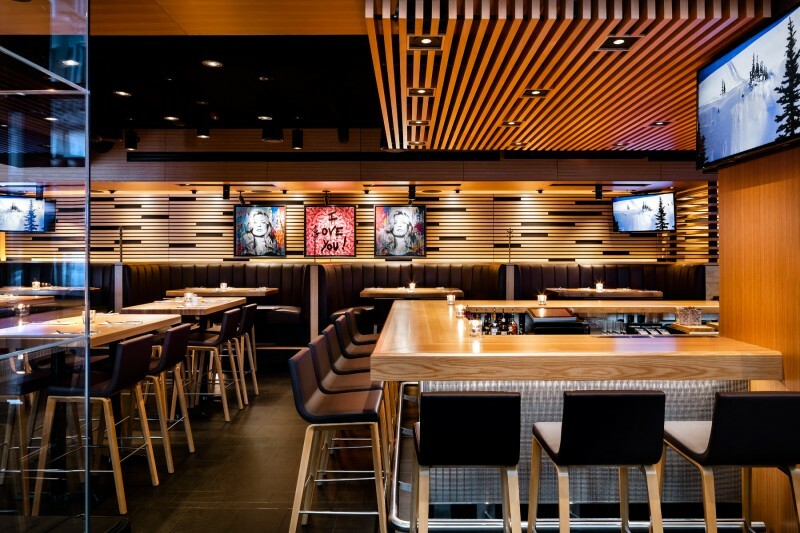 The busting restaurant is on full display to the hustle of the financial district through a monumental clear glass facade. 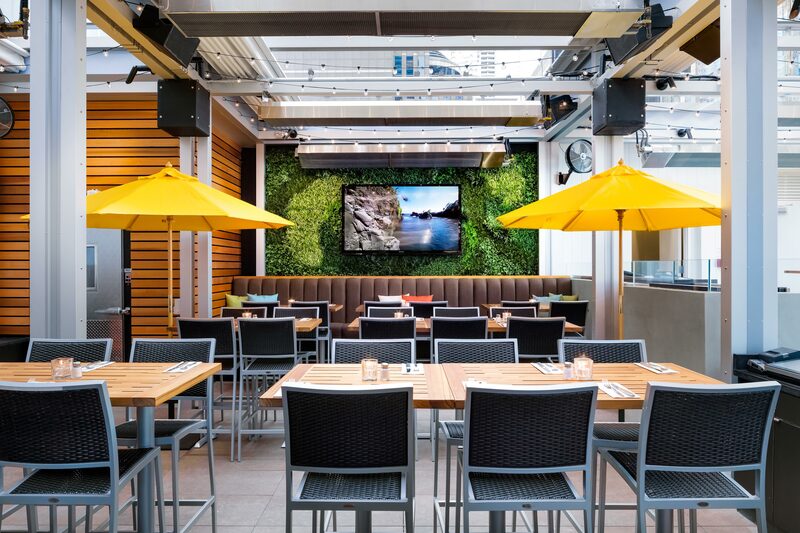 A fully retractable roof covers an outdoor patio oasis hidden amongst the forest of downtown Toronto skyscrapers.